With its pine wood frame and white face, Amalfi's Leonard Wall Clock will bring a fresh and modern look to your home. Its 61cm diameter is a great size for the living room, kitchen or hallway. 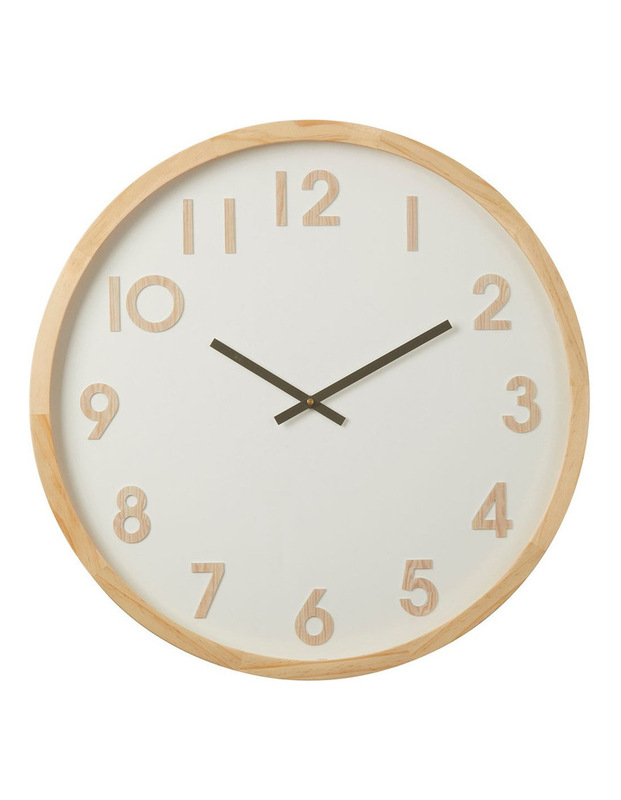 A neutral and natural colour palette helps the clock fit in with any existing decor. This clock features a 'Taiwanese brand' mechanism that helps it keep reliable time.